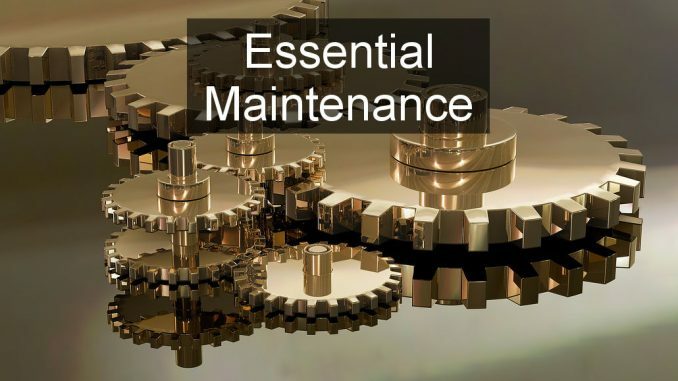 To keep your Windows PC running smoothly and problem-free, there are some essential maintenance tasks that should be performed. Are you doing them or are you heading for PC problems? Computers are generally reliable and often work for many years without problems, but this is not always the case and small issues can grow into big ones that can then become serious. A few simple maintenance tasks can avoid problems and stop minor issues from becoming worse. Let’s take a look at the tasks you should be performing each month to keep your Windows PC running smoothly. Disk drives are more reliable than they used to be and errors are less frequent. Don’t get too complacent though, check the disk once a month to make sure minor problems are fixed before they grow worse. 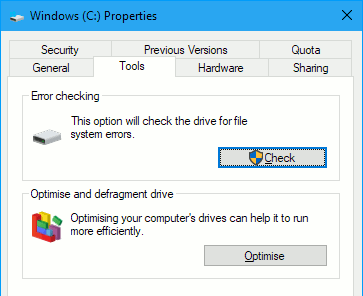 Defragmenting the disk is automatically run in the background by Windows and should require no action on your part. However, if you have a laptop computer and always use it on battery power, especially with Battery Saver mode on or power saving mode, maintenance tasks like defragging may be put off and never get done. Run it manually once a month. Select the Tools tab and click Optimize. Select the C: drive and click Optimize. Solid state drives do not need optimizing and there is no benefit. Windows should refuse to optimize them anyway, so don’t even try. Junk, temporary and unnecessary files build up on the drive over time and may affect the speed of old-style mechanical drives. They don’t slow down Solid State Drives (SSDs) but they do use up space and space is sometimes limited on SSDs. 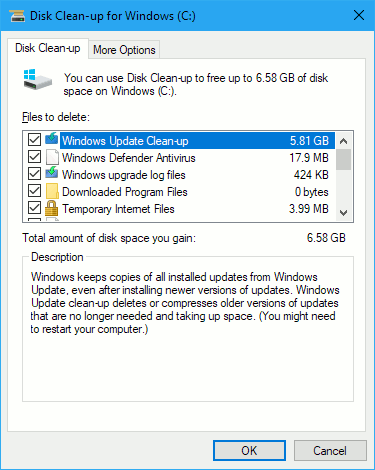 A few budget Windows laptops have 32 or 64 GB SSDs that are easily filled, so clean up the junk once a month. 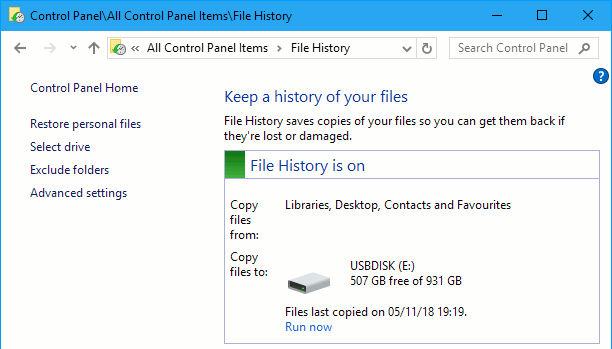 Windows 10 has introduced features that automatically clean up the disk, but they do not do as good a job as a manual cleanup. Sometimes several gigabytes of space can be saved, mostly by emptying the recycle bin and deleting old Windows updates. 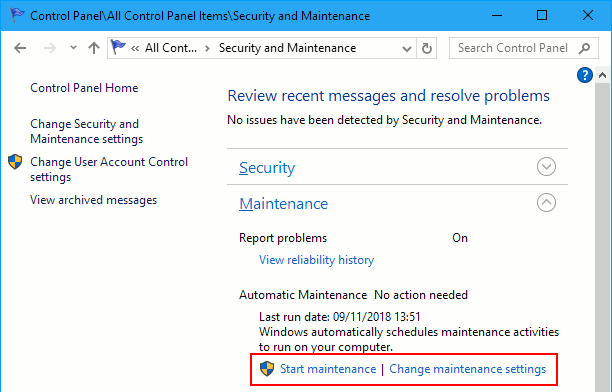 Windows automatically runs maintenance tasks at periodic intervals, but for some unknown reason, this feature can become disabled. Check that automatic maintenance is running. 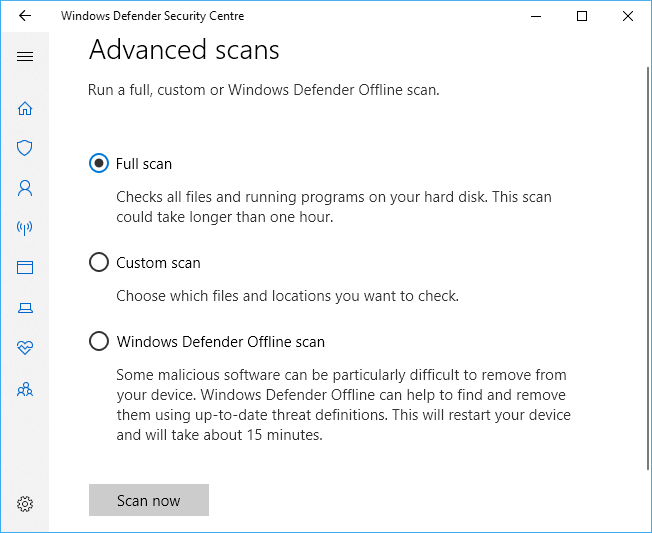 Windows Defender or whatever security software you are using has real-time protection that checks files as they are written to or read from the disk. However, it is still useful to run a thorough check of every file on the disk once a month. Whatever your security software, open it and run a thorough or deep scan. If a quick scan is available, avoid it and do a thorough scan instead. It could take an hour or more to complete and the PC will run slowly while it scans, so do it when you don’t have anything important to do. It is hard to stop Windows 10 from updating these days and it automatically checks for updates, downloads them and installs them, sometimes at inconvenient times, but that is another story. Although updates should be happening, are they or are they stuck? Sometimes one or more updates will not install or the same one keeps trying to install every day or every week and failing. Make sure that the last update check was fairly recent. It should check every day. If there are any failures, they need investigating and Windows Update may need repairing. This isn’t the place for a full description of Windows Update fixes, but a good place to start is Settings > Update & Security > Troubleshoot. Run Internet Connections and Windows Update troubleshooters. Backups are essential and you should not assume that a computer will work perfectly forever. It won’t. If you are lucky, it will work until you decide to replace it with a new one, but sometimes computers fail and you should be prepared for that day. Backups are best with a USB disk drive. It is possible to back up online, but USB drives are speedy and cheap in comparison. Open the Control Panel and click File History. This backs up files in your personal folders – Documents, Pictures, Music and Videos. These usually contain irreplaceable files and Windows and applications can be reinstalled if necessary. Don’t rely on a file backup like File History alone. At least once a month, perform a full system backup using backup software like Backupper or EaseUS Todo Backup. Free versions are available, so it won’t cost anything. They create an exact image of the disk and provide an alternative way to start the computer (CD or USB thumb drive) if the disk drive fails. It can restore the original disk contents to a new drive or the old drive after it has been repaired or formatted. There are many tempting offers on the web that can be obtained in return for providing your email address, including newsletters, free software and services and so on. Go through your email inbox and unsubscribe from anything you do not need or read. At the bottom of email subscriptions there is nearly always an unsubscribe link and it nearly always works. Use it. If you often download and install software from the web, you should open Programs and Features in the Control Panel and see if there are any applications that you don’t use. Uninstall them. 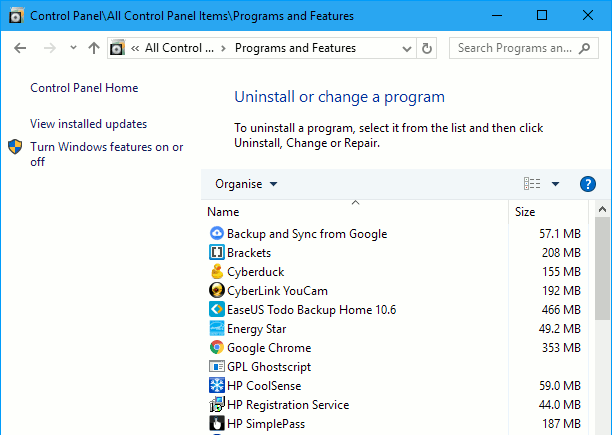 Windows 10 apps on the Start menu can be uninstalled by right clicking the tile or the Start menu item. The free version of IObit Uninstaller is a useful tool because it cleans up leftover files and registry entries when software is uninstalled. Windows has a built in tool that checks that all files are present and correct. It is useful to run it once a month just to check that everything is OK rather than wait for a major problem to occur and then try and fix it. It takes many minutes to complete, so be patient. It will automatically try to fix any problems it finds.